Buy at wholesale today and SAVE! Looking for bulk purchases of our products? We sell by the case at Amazon.com. Or, contact us directly (we make more money that way!). The Juice-Jack Defender® comes in cases of 120 or 144 units. 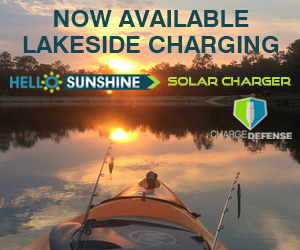 Our Hello Sunshine™ Solar Chargers ship with 40 units. Volume discounting is available for retailers, resellers, and corporate/government purchasing agents. Our standard products are “in-stock” and ready to ship TODAY! Are you selling gear for high-travel business professionals? Or perhaps you have an online store and got interested in the world’s first data-blocking protector that works with all smartphones and tablets? Or did you fall in love with our “Hello Sunshine” Ruggedized Charger, the perfect mobile charging accessory for outdoors people?